In April 2008, persons on probation in Texas had their out-of-state travel plans placed on hold when an assistant Texas attorney general met with the Texas Judicial Advisory Council (JAC) and told the judges they lacked the authority under the Interstate Compact for Adult Offender Supervision rules to allow anyone on probation in Texas to travel to another state which had not agreed to take-on the person's supervision. Texas judges feared they they might be liable to lawsuits without specific authority to grant temporary travel permits if probationers they allowed to travel to other states committed bad acts while outside Texas. Several former criminal defense clients contacted me after their probation officers told them they could not freely travel outside Texas for business and personal reasons. The judges were requiring probationers to file motions and appear before them to individually examine each request to travel out-of-state. This was a mess for both probationers who needed to travel for short periods of time and for judges and their court-coordinators handling the requests. Fortunately, both probationers and judges were encouraged to learn of the June 24, 2008 Interstate Commission for Adult Supervision (ICAOS) advisory opinion. The commission clarified the travel issue and helped judges to discern their personal liability for allowing probationers to travel outside Texas. According to the opinion probationers under supervision for "lesser" misdemeanors were not covered by the ICAOS rules. The judges who convicted them would decide whether they could travel outside the state. This was the old rule and typical travel requests would be made through the probation officer without involving the judge. The opinion also said it's up to the judges whether to permit other probationers ("higher" misdemeanors & felonies) covered by the ICAOS rules to leave Texas for less than 45 days. The opinion provided judges a blanket of protection from lawsuits if they were ever sued for a probationer's conduct while outside the state of Texas. The opinion also helped probation departments efficiently process travel requests from persons needing to leave Texas for business or personal reasons. Contact a Texas board certified criminal attorney if you have any questions. The present installment in this series on the Intoxilyzer 5000 involves the concept of retrograde extrapolation. Retrograde extrapolation is the process of calculating the alcohol concentration of a person at a time earlier (the time of driving) than the time of a breath test. Retrograde extrapolation is not technically a defense against the science or technology of the Intoxilyzer 5000. However, it's a key component in the defense of any DWI breathtest case in which the Intoxilyzer was used to obtain an analysis of a person's breath. At the time of driving the breath alcohol content (BAC) of a person's breath could be less, the same, or more than the BAC at the time of the breath test. This is because an individual's BAC is reflected by an alcohol concentration curve beginning at the low point when there is no alcohol in the person's blood. It then rises as alcohol is absorbed (absorption phase) into the bloodstream until it reaches a peak, that is, the maximum alcohol concentration. Finally, the curve falls as the alcohol is eliminated (elimination phase) from the bloodstream to the low point when there is no alcohol left. This describes an alcohol concentration curve. In a previous post, we learned the Intoxilyzer 5000 takes two readings from two separate breath samples provided only about two minutes apart. For the purposes of drawing an alcohol concentration curve (ACC) these two samples constitute only a single reading. An accurate ACC would require many more points of data than the Intoxilyzer 5000 provides. Consequently, the "single" reading provided by the machine does not provide enough information to determine whether a person is in the absorption phase or the elimination phase at the time of the breath test. Consequently, if a person is tested while in the absorption phase their BAC at the time of the test will be higher than their BAC while driving. If tested while in the elimination phase their BAC at the time of the test could be lower than while driving, depending on whether they had reached their peak before or after the stop. Obviously, the greater the length of time between the driving and the test, the greater the potential variation between the two BACs. This uncertainty exposes yet another weakness with using the Intoxilyzer 5000 to prosecute those accused of driving while intoxicated. The informed Bryan|College Station DWI|DUI defense lawyer will understand retrograde extrapolation, and it's limitations, to help sow seeds of doubt among jurors who are deciding whether the client's BAC at the time of driving was higher, lower, or the same as the time of the breath test. Call a Bryan DWI-DUI defense lawyer for help. Every machine created by man has tolerance for error including the Intoxilyzer 5000. For the Intoxilyzer this error tolerance is reported in grams of alcohol/210 liters of breath. It's just another source of erroneous breath test results for persons accused of DWI. During a subject test the Intoxilyzer will first analyze the vapor from the reference sample. The result of this analysis must be within +/- 0.010 g/210 liters of the predicted value which is entered by the technical supervisor. If the reference sample result is not within the machine's tolerance for error the Intoxilyzer will invalidate the test. The Intoxilyzer then purges the sample chamber with room, or ambient, air. The machine analyzes this air blank for alcohol and other interfering chemicals. If the air blank contains anywhere from 0.00 g/210 to 0.019 g/210 liters of alcohol, the intoxilyzer will report the blank as 0.00 g/210 liters. The Bryan|College Station criminal defense lawyers defending DWIs should use this to their client's advantage when cross-examining the technical supervisor. The accused should be given the benefit of this error tolerance and 0.019 should be subtracted from the Intoxilyzer 5000 test result. Finally, the Intoxilyzer must verify the results of the suspect's breath samples, agreeing within +/- 0.020 g/210 liters. If breath samples agree within this tolerance the machine will validate the test. If the results do not agree it will invalidate the test. Why is this tolerance important to those accused of DWI? 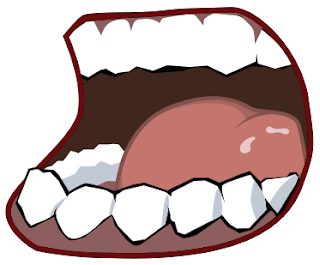 The machine always measures two samples of a person's breath about two minutes apart from each other. These samples must agree within machine tolerances to be valid. For instance, if the first sample of breath was measured at 0.10 g/210 liters, the second sample could be anywhere from 0.08 to 0.12 g/210 liters to satisfy the error tolerances. The accused should be given the benefit of this error, as well. The DWI defense attorney should be locking the technical supervisor in at the lowest possible valid result, not forgetting to also subtract the 0.019 for the air blank. Call the best Bryan, Texas DWI defense attorney for help! In our previous study of Henry's Law we learned when a volatile chemical (ethanol, for instance) is dissolved in a liquid (blood) and brought into contact with a closed air space (the lungs), an equilibrium is formed and there exists a fixed ratio between the concentration of ethanol in the air space and the concentration in the liquid. (at a given temperature and pressure) In a closed system the amount of ethanol in the airspace above the liquid is proportional to the amount of ethanol in the liquid. We also learned Henry's Law can only provide an approximation of the ethanol in human breath since the law applies to a closed system at a given temperature and pressure. The lungs are not a closed system. The Intoxilyzer 5000 is designed to analyze a sample of a person's breath based on Henry's law. Moreover, the Intoxilyzer is designed to produce a breath alcohol result exactly corresponding to a simultaneous blood alcohol sample. This occurs because of the scientific assumption embodied in Section 49.01(1) of the Texas Penal Code. This assumption implies that 210 liters of breath contains the same amount of alcohol as 100 milliliters of blood. The assumption about human physiology required to support this involves the partitioning of alcohol from the blood. But is this assumption a defensible scientific fact? The problem for the Intoxilyzer is assuming the partitioning of alcohol from the blood into the breath is 2100:1. That is, for every 2100 parts of ethanol in the blood there is one (1) part ethanol in the breath. Again, section 49.01(1) of the Texas Penal Code embodies this assumption. However, not all persons partition alcohol from their blood based upon this ratio. Studies show partition ratios as low as 834:1. Other studies show partition ratios ranging between 1555:1 and 3005:1. (Dubowski, 1985) The important issue for the criminal defense lawyer is the Intoxilyzer 5000 OVERESTIMATES the alcohol concentration of someone blowing with a partition ratio less than 2100:1. According the the Dubowski study, a person with a partition ratio of 1555:1 would cause the Intoxilyzer 5000 to overestimate by 26% the breath alcohol concentration compared to that of a simultaneous blood sample. The Intoxilyzer 5000 does not measure a person's blood:breath partition ratio. It is calibrated with the assumed value of 2100:1. So, we never know what a person's actual partition ratio is at the time of a breath test. Consequently, the Intoxilyzer becomes an incorrect indicator of a person's actual blood alcohol concentration when the partitioning of alcohol from their blood deviates from the assumed 2100:1. Call a Bryan, Texas DWI/DUI attorney for questions about your DWI charges. The best Bryan DWI lawyer can help you! Mouth alcohol is another potential source of error with the Intoxilyzer 5000. If alcohol is regurgitated into the mouth (by burping or belching) and absorbed into the mouth tissues, it will effect the breath test result by overestimating the amount of alcohol attributed to the breath sample. Even the act of forced exhalation required to provide a breath sample can cause the rib cage to squeeze and force stomach gases into the breath resulting in a false overestimation of breath alcohol content. Generally, it takes about 10-12 minutes for mouth alcohol to dissipate and not effect the test. However, if a person has belched within about 10 minutes of the test, the mouth alcohol will falsely contribute between .01 and .03 to the result. The breath test operator protocols require the officer to "be in the presence of" (but not observe) the DWI suspect for 15 minutes to assure they don't belch or place foreign objects into their mouth effecting the test. As a practical matter, though, the officer is rarely paying much attention to whether the suspect is burping or belching. They are typically busy filling out paperwork, driving the suspect to the police station, talking with other officers, or getting the Intoxilyzer warmed-up for the test. If a person burps silently there's no way the officer is going to detect it. The Intoxilyzer 5000 does attempt to detect mouth alcohol by what is called the "slope detector." The slope detector is a computer program designed to measure the rate at which alcohol concentration changes inside the Intoxilyzer 5000. If the concentration changes too fast (i.e., too "steep" of a slope), the machine registers an alert and the test is aborted. The slope detector must be “satisfied” before the Intoxilyzer 5000 will produce a result. The problem is that empirical studies show the slope detector does not always work as advertised. Moreover, Texas does not have a standard procedure approved for use by the technical supervisors to verify the slope detector feature of the Intoxilyzer 5000 is working properly and conforms to the manufacturer's certification. At trial the technical supervisor will generally testify: (1) they don't know what process was followed in developing the slope detector program; (2) they don't know of any treatises or literature that support the use of the process followed to develop the program; (3) they don't know whether the program has been published or offered for publication in any peer-reviewed journal; (4) they don't know whether the program been described in any peer-reviewed journal; (5) they don't know whether any other scientists use or recommend use of the program; (6) they don't know whether there's a known or potential rate of error; and (7) they don't know whether there are any studies showing the slope detector actually works as advertised. The next installment in this series will discuss the 2100:1 Blood:Breath Partition Ratio and more on Henry's Law. Call a good Bryan-College Station DWI defense attorney for help! Thanks to Scott Henson at Grits for Breakfast for plugging my current series on the Intoxilyzer 5000. And thanks to verb for the illustration included here. Today we'll look at another potential source of error with the Intoxilyzer - volatile chemical interference. The Intoxilyzer 5000 uses a method of quantitative analysis called infrared spectroscopy to determine how much ethanol is present in the breath sample of a DWI suspect. Simply put . . . different molecules absorb infrared light at specific wavelengths. (actually the chemical bonds holding the atoms together in the molecule absorb the light) But, if one knows the absorption wavelength of the molecule you're looking for, like ethanol, you can design a detector to identify how much radiant energy is absorbed in a sample. Then you can deduce by reliable scientific means (the Lambert-Beer Law) the number of absorbing molecules in the sample. But what if other molecules absorb energy at the same wavelengths? Won't, then, the Intoxilyzer mistake those molecules for ethanol? Will this result in an overestimation of ethanol in a person's breath? The Intoxilyzer uses multiple wavelengths of infrared energy to look for ethanol. The Texas Breath Alcohol Testing Program Operator Manual admits that other substances absorb infrared energy at some of the same wavelengths as ethanol. Acetone, for instance. Acetone is a volatile organic chemical found in the body of those suffering from diabetes. Consequently, if an interfering chemical, like acetone, is in the breath of a DWI suspect the machine might register an overestimation. The manufacturer of the Intoxilyzer has built in a detector to look for acetone. Fair enough. But what about other interfering chemicals the Intoxilyzer does not look for? Chemicals like methanol and toluene also absorb at wavelengths similar to ethanol. Methanol is found in solvents and varnishes. Toluene is found in paints, thinners, and glues. If a person comes into contact with these interfering chemicals (through occupational exposure, for example) and takes a breath test, they run the risk of higher false test results. That is, the Intoxilyzer 5000 mistakes the interfering chemicals for ethanol. Interestingly, the Intoxilyzer can be fitted with a sample capture device used to preserve a sample for re-analysis at a later date. This sample preservation device could be used to check for quality control and interfering chemicals present. However, in Texas this device is not currently utilized on the Intoxilyzer 5000. Another interesting fact? Texas has no standard procedure approved for use by their technical supervisors to verify the interfering chemical detection feature of the Intoxilyzer 5000 works properly and conforms to the manufacturer's certification as advertised. My next post on the Intoxilyzer 5000 will concern another source of potential error . . . mouth alcohol. Please stay tuned. And contact a Bryan|College Station DWI Defense Lawyer with questions about your charges. The best Bryan, Texas DWI attorney can really help!